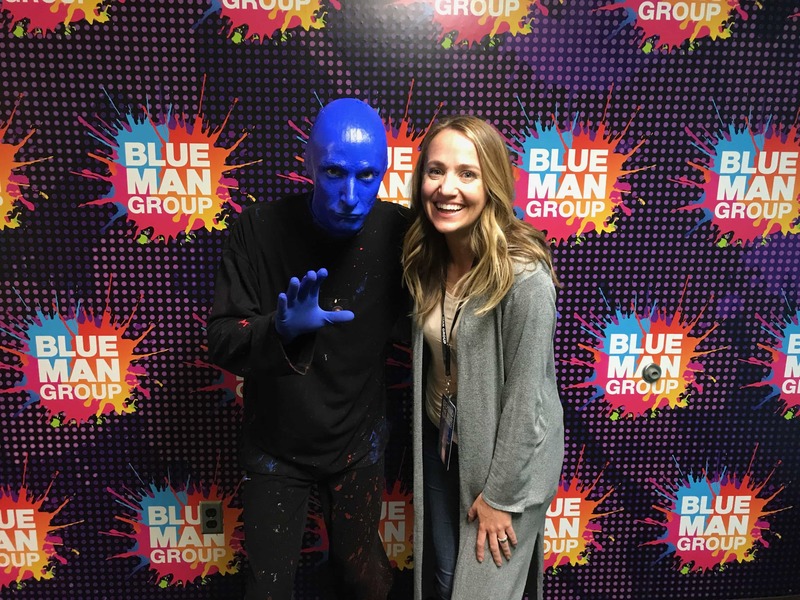 Our Amazing Blue Man Group Experience! 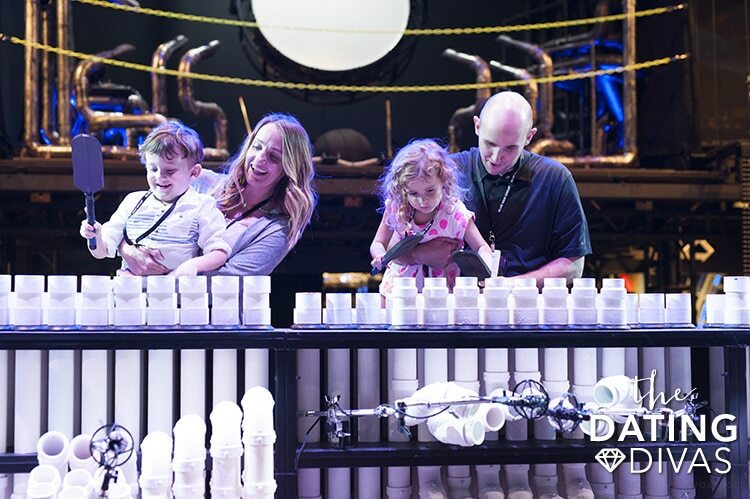 We just got back in from our incredible trip to Las Vegas in partnership with Blue Man Group and let me just tell ya, this was an experience our family will NEVER forget! I’m so excited to share it all with you AND give you a chance to win two tickets of your own to see their show! 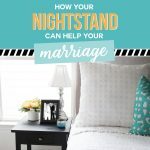 Check out the details at the end of this post! 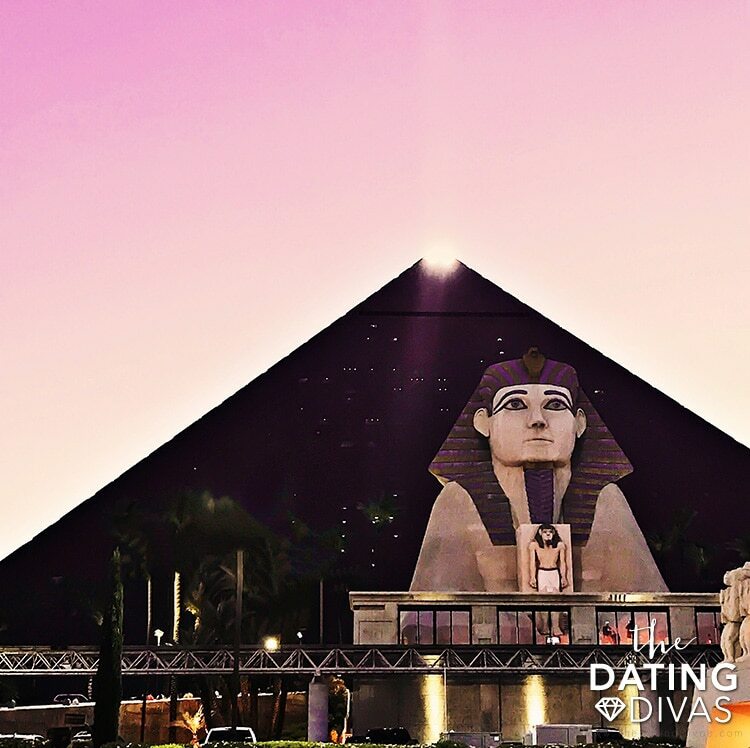 Our trip kicked off Tuesday morning and as soon as we landed in Las Vegas we headed to Luxor Hotel & Casino to get checked in! The kids were especially excited that we were staying in the pyramid that we saw from the plane. They were thrilled to be able to walk inside and even more excited that we were going to be there for 3 days! Right before the show, we ate dinner at Tacos and Tequila right next to the theater and it was DE-LICIOUS! The kiddos 100% approved of the virgin Strawberry Daiquiri… we highly recommend it! And my hubby and I enjoyed the filet mignon and shredded pork tacos. Seriously SO good, you guys! You have to try this place if you are a taco lover like us! 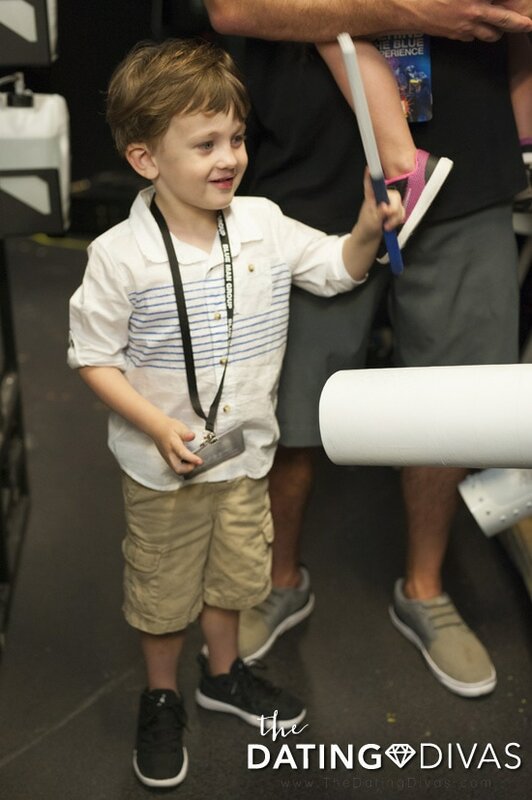 After dinner, we headed straight to the theater for our awesome backstage behind the scenes tour! 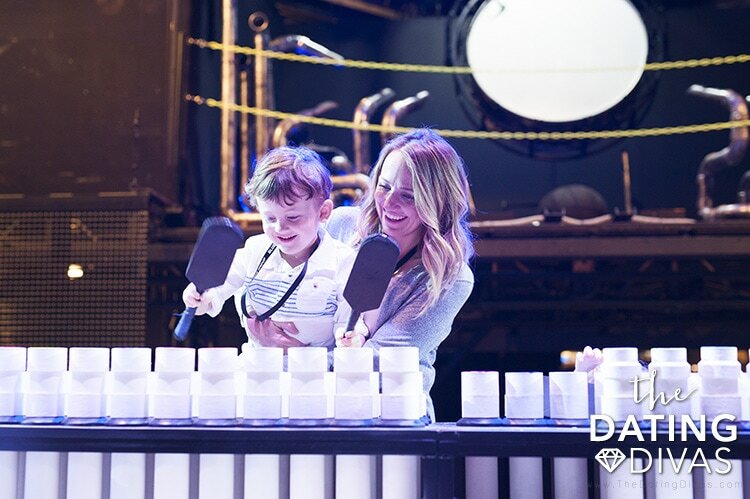 This was one of our FAVORITE parts of the whole night! We were guided around the backstage area of the show and it was absolutely fascinating to see all that goes into these shows! From lights to make up to screens and everything in between, it is quite a production! 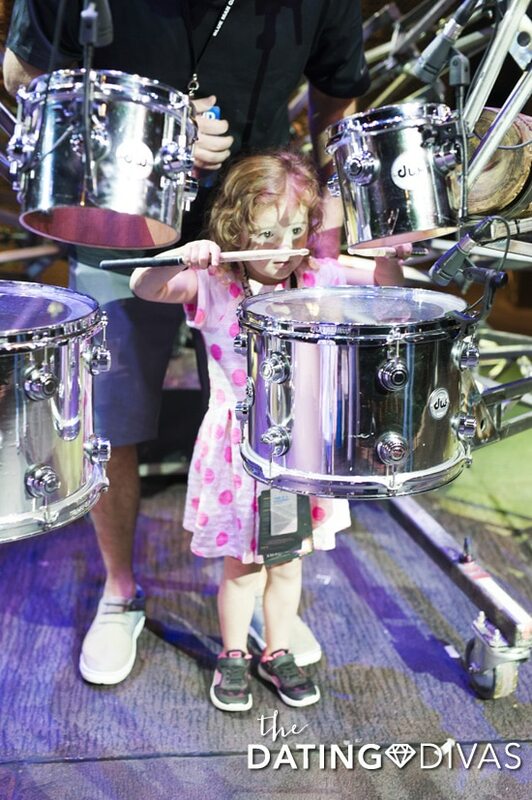 But I think our favorite part of the whole backstage tour was getting to play the ACTUAL instruments the Blue Men play in the show! The kids were DYING! 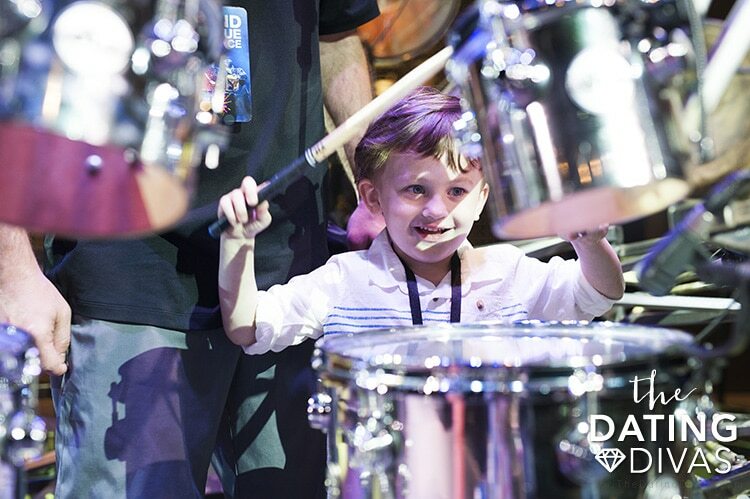 Look at the concentration on that face! The PVC’s were probably my favorite instrument… they sounded SO cool when you hit them with the paddle and you didn’t have to hit them very hard and they were still pretty loud! Then it was show time! As they started letting people in, they had these awesome blue lights on that turned everyone’s skin blue! 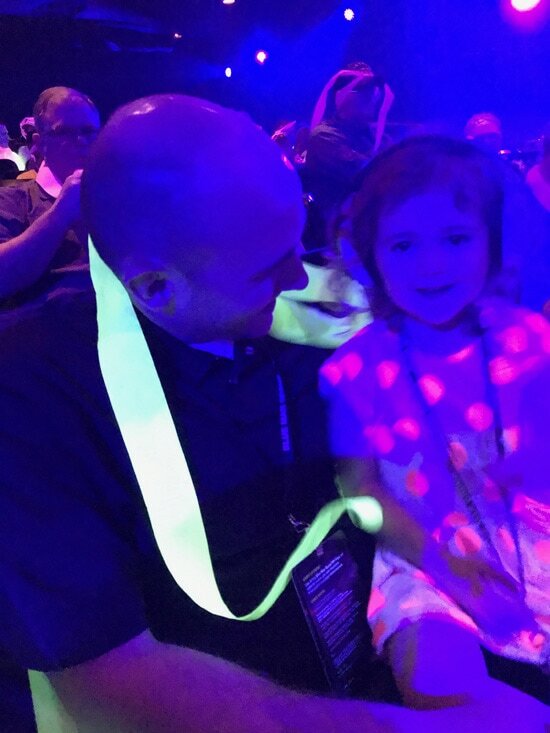 They passed out fun glow-in-the-dark paper for everyone to tie around themselves, and I really appreciated that they provided headphones for the kids in case the sound was too loud. The show was INcredible, you guys! I am in awe at the talent these guys have, not only musically but their acting talent as well! The show was hilarious! Seriously, SO entertaining. The kids laughed, watched in amazement, danced in their seats, and by the end they were SO worn out that they practically fell asleep walking to our hotel room. Thank you SO MUCH Blue Man Group for such an amazing experience and thank you Luxor for taking care of us! 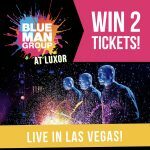 All you have to do is leave a comment on this post with why YOU are excited to see Blue Men Group! The winner will be notified by email in less than a week! Giveaway closes on May 25th at 11:59pm MST. 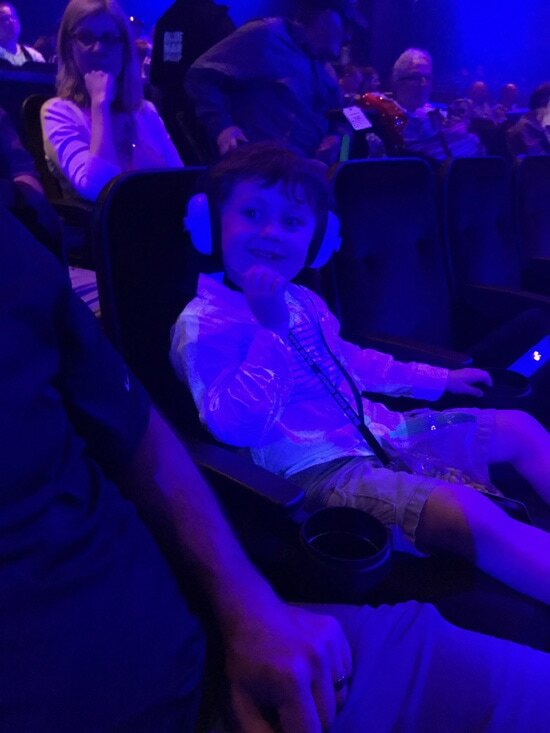 14 Responses to Our Awesome Experience With Blue Man Group! I have wanted to see the Blue Man Group for years. I love that they’re family friendly. My hubby and I could use a vacation for just the 2 of us!!! I saw them once and loved them! I would love to take my kids next time. I have enjoyed seeing the blue men group from at home in the living room. Every thing is better in real life. I can only imagine the thrill of seeing these guys in person. I have always wanted to see Blue Man Group! I hope I win tickets to celebrate my husband’s birthday! I love seeing new shows, & ive never been to this one! Looks like a blast. I love the creativity of the Blue Man Group! My husband and I have always dreamed of going to see the Blue Man Group live!!! We have watched every performance of theirs that they have had on TV together. Seeing them perform in Vegas has always been a maybe dream of ours because of the price tag so instead we watch them perform on TV as our own little “concert” date nights. I love their attitudes, always happy and fun loving. We absolutely love them and their innovative music!! I LOVE The Blue Na n Group! I saw them in Chicago and they were amazing! I would love to take my husband some time. 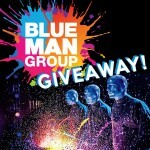 I’m so excited to see the Blue Men group bc they remind me just how inspiring and meaningful rhythm and music are. I have wanted to see the Blue Man group for years. I’ve heard from numerous people what an entertaining show it is. 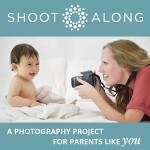 After having 7 kids in 15 years, I think it’s time the hubby and I start connecting better. This would be a great date. 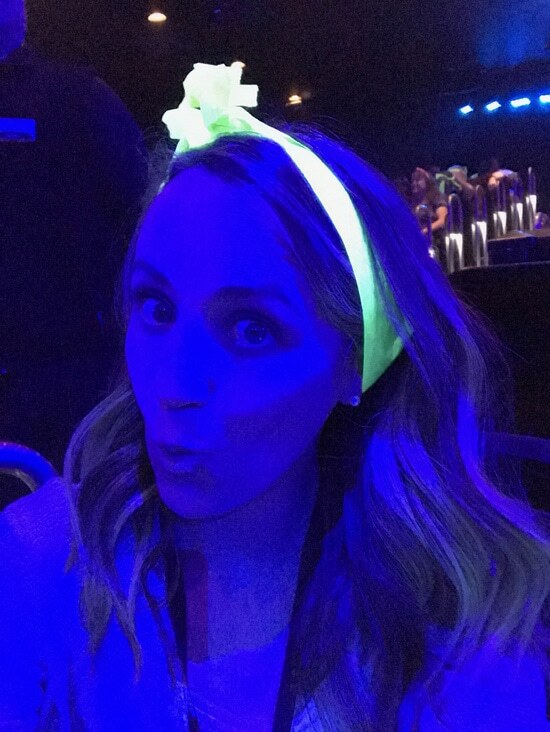 I am excited to see The Blue Man Group because I grew up in a home full of drummers, I was a percussionist for 6 years in school. My brother is now going to college to become a percussion teacher and I want to take him to the concert for a late birthday gift!!! It would be great to see The Blue Man Group with my husband. We’ve seen videoed performances and loved it. It would be wonderful to win this today as he is an Army veteran!